We organize campaigns and welfare activities to assist us in achieving the goals above. The nature of the activities depends heavily on the request and interest of our stakeholders. In recent years, we have been working very closely with colleges to improve the benefits of international students. For instance, we urged some colleges to provide vacation storage for international students for free; this allows international students to store their belongings in college storage room out-of-term, so that students will not have to worry about finding external storage facilities, or bringing back all their belongings. Other issues that we worked on include the vacation residence of international students, and supporting access campaign all around the world. If you have any concerns, and would like us to assist you, please email us! 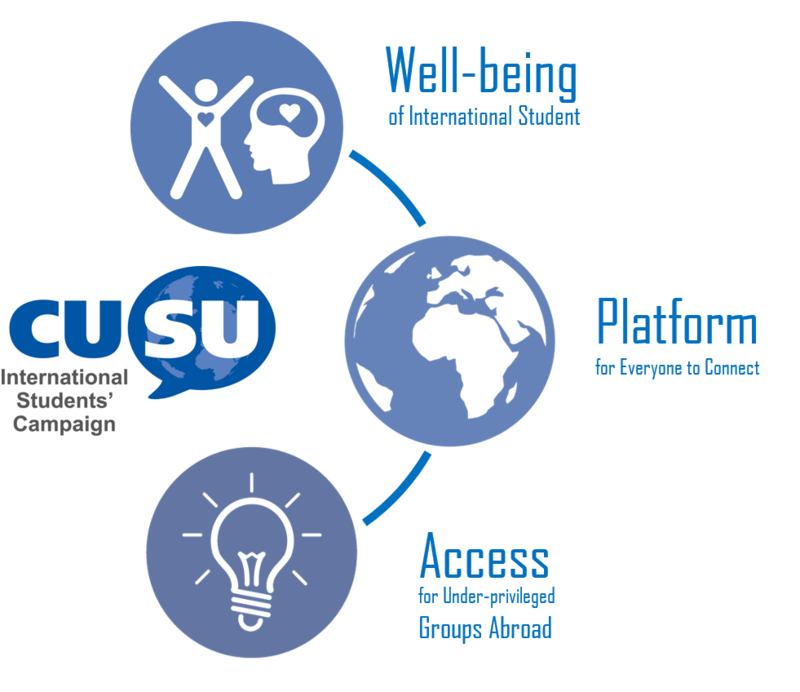 iCUSU is an an “autonomous campaign” of CUSU (CU Students’ Union), functionally independent and self-run. The iCUSU Chair is accountable for the exercise of his or her vote in the CUSU Council.